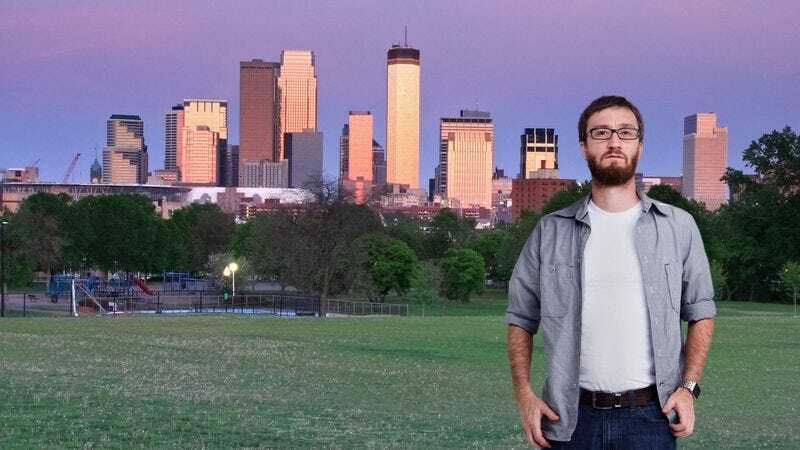 MINNEAPOLIS—After packing up his apartment and moving across the country to Minneapolis this weekend, area man Matthew Goddard told reporters that though he has a vague idea of why he relocated from Boston, he can’t quite remember exactly why he now lives in the City of Lakes. “I think I came here for a new job, or was it a girlfriend? I gotta say, I’m completely blanking on why I currently live here,” the visibly confused 31-year-old told reporters, adding that while he can’t recall having family in the metro-Minneapolis area or needing a change of pace, it’s quite possible he was accepted to grad school there, but he admitted that none of those things were ringing a bell. “Don’t get me wrong, Minneapolis is a fine city. And now that I’m here, I can definitely imagine staying for whatever it is I moved here for. Was it some sort of health reason? No, I’m fine. At least I think I’m fine.” Goddard later remembered he moved to Minneapolis because he really likes Prince.